We have finally shaken off the New Year blues and we are ready to make the most of what 2015 has to offer. 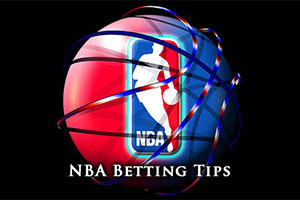 There were plenty of NBA games on Friday night, and we’ll recap them soon, but there are also plenty of great NBA games taking place on Saturday so if you are looking to place some bets today, this is the ideal opportunity to do so. The Celtics lost in Indiana with the Pacers triumphing 107-103. The Hawks finally knocked the Pistons out of their stride, the team from Atlanta grabbing a big 103-106 win. The Wizards wiped the floor with the Bulls, the Washington team celebrating a 102-86 home win while the Timberwolves tumbled away from home in Milwaukee, losing to the Bucks by 9-84. The Nuggets were road winners again, taking out the Kings by a score of 108-118 but the Cavs stumbled on the road again, the Golden State Warriors grabbing a 112-94 win against a Cavs team that is falling apart without LeBron. The 76ers were road winners, defeating the Nets by a score of 88-90 while the Thunder held on for a 99-94 win at home against Utah. The Grizzlies were blunted in New Orleans with the Pelicans winning 106-95 and the Suns were defeated in San Antonio, with the Spurs winning 100-95. The Lakers grabbed a home win, defeating the Magic by a score of 101-84. The Hornets hold a 14-12 record and this contains a 6-12 record away from Charlotte. This isn’t a great record but they are heading to New York where the Knicks currently sit with a 5-34 record, a record that includes a 3-16 standing in New York. This has been a tough campaign for the Knicks and it is likely to continue in this vein at the weekend. The Hornets have won 4 games in a row, boasting of a 4-1 record in their last five games while the Knicks have managed to lose 14 games in a row. Thursday night saw the Knicks lose their 11th game in a row at home and the team are now ranked below the 76ers in the standings, no mean feat considering the team from Philadelphia went 0-17 at the start of the season. The Hornets are moving upwards and they grabbed a massive 95-103 win in Toronto on Thursday night with Kemba Walker grabbing 29 points, 8 assists and 7 rebounds in the game. While Al Jefferson, Lance Stephenson and Jannero Pargo are bigger doubts for the Hornets, PJ Hairston and Cody Zeller should be fit for action on Saturday. As for the Knicks, Carmelo Anthony is likely to just miss out while players like Andrea Bargnani and Amar’e Stoudemire are still likely to be short of match fitness. The absence of key players hasn’t helped the Knicks of late but it is not as the team can pin all of their problems on injuries. Taking the Hornets with a -7 handicap is likely to be a sensible move. Bet Now! The Mavericks hold a 26-11 record coming into this match and their record away from Dallas stands at 13-5. The Clippers are also in good form, holding a 24-12 record over the campaign and their standing at home is 16-5. The Mavericks lost their last game while the Clippers were winners in their last run out. Both teams are currently 4-1 in their last five games. Wednesday night saw the Clippers take on local rivals the Lakers at home and the 114-89 win was exactly the sort of result that the Clippers have been churning out against weaker opposition of late. The Mavericks were on a six game winning streak but were yet another team undone by the powerful Pistons, with the game in Dallas finishing 95-108. The Mavericks don’t have many injury worries coming into this game while the Clippers will be monitoring the fitness of Jordan Farmar and Matt Barnes. This is a game that could go either way and taking the Mavericks with a +7.5 handicap, at odds of 1.90, should be an attractive bet for Saturday. Bet Now! The Jazz hold a 13-24 record coming into this game and this includes a 7-13 record away from Utah. The Rockets meanwhile can boast of a 25-11 record so far, and with respect to their games in Houston, the Rockets hold a 12-6 record. The bookies are comfortably siding with the home team for this match-up and the long term form does suggest that the Rockets should see this game home. The Rockets have won their last 2 games, and hold a 3-2 record in their last five games, while the Jazz hold lost their last game and have a 2-3 record over their last five matches. While the Jazz record is far from ideal, it has been improving of late. The team from Utah have triumphed in 7 of their last 12 games, a run which includes away day wins over teams like Chicago and Memphis. On Friday night, the Jazz pushed the Thunder all the way but fell 99-94 with the game being decided very late on. The Rockets had two tough tests on Wednesday and Thursday of this week but they came through with flying colours. On Wednesday, they left Cleveland with a 93-105 win and on Thursday night, they left New York after hammering the Knicks 96-120. There are no notable injury concerns for either team going into this match and while the Rockets should win, taking the Jazz with a handicap of +11.5 at odds of 1.90 should be more than enough to help you make the most out of Saturday. Bet Now!